Millets: Properties, Production and Applications opens with an investigation on the effects of natural fermentation and drying methods on physicochemical properties of proso millet flour. Fermented proso millet flour is either oven dried or dried at room temperature, and its chemical content and characterization are ascertained using standard methods. 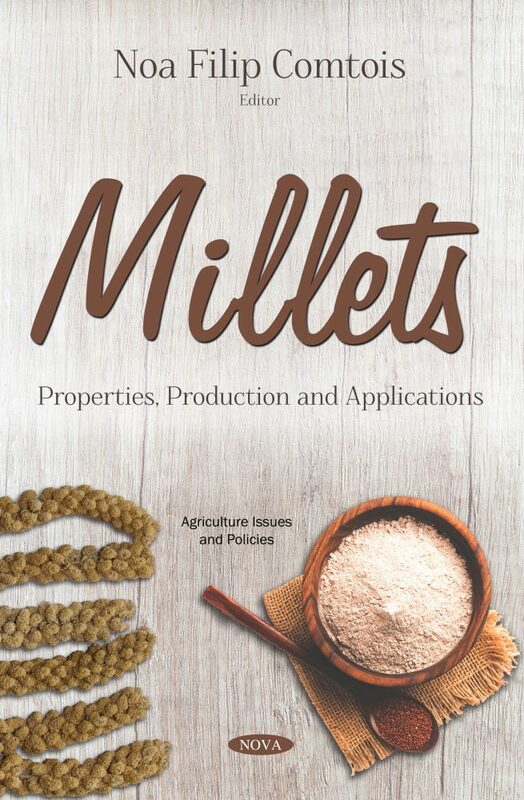 Following this, the authors evaluate the forage production and chemical composition of two pearl millet cultivars fertilized with four doses of nitrogen with three cutting heights. Results are presented which indicate that ammonium sulfonitrate treated with nitrification inhibitor revealed possible toxic effects at lower doses and is recommended only when high nitrogen doses are used. One chapter is dedicated to Count Sámuel TELEKI de Szék (1845-1916), a Hungarian explorer who was the first European to see and name Teleki’s Volcano (1888), Lake Rudolf (1888) (syn. : Lake Turkana; renamed in 1975) in Kenya; and Lake Stefanie (1888; named after Princess Stéphanie of Belgium; now called Lake Chew Bahir) in Ethiopia. S. Teleki was among the first in the World to attempt to climb the summit of Mount Kilimanjaro. In closing, the authors concluded that the use of pearl millet as forage is increasing in the Brazilian Cerrado due to its adaptability to harsh conditions and high protein and digestibility levels. There are very few studies evaluating the animal performance in Brazil, especially related to silage use. Thus, there is a necessity for more research involving animal performance in order to recommend or discourage its use, especially as silage for dairy cows.